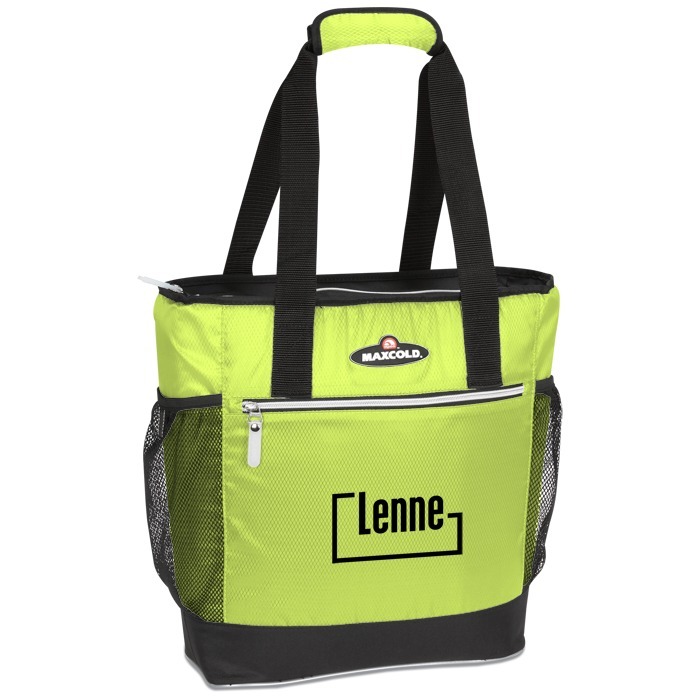 Localize your promotions on a custom cooler that has far-reaching effects! Totable Igloo® coolers are so much more practical than hard-sided coolers for some outdoor events. Top zippered closure seals off the 24-can main compartment, trapping cold air inside. Main compartment boasts new-and-improved superior insulation for your picnic food. 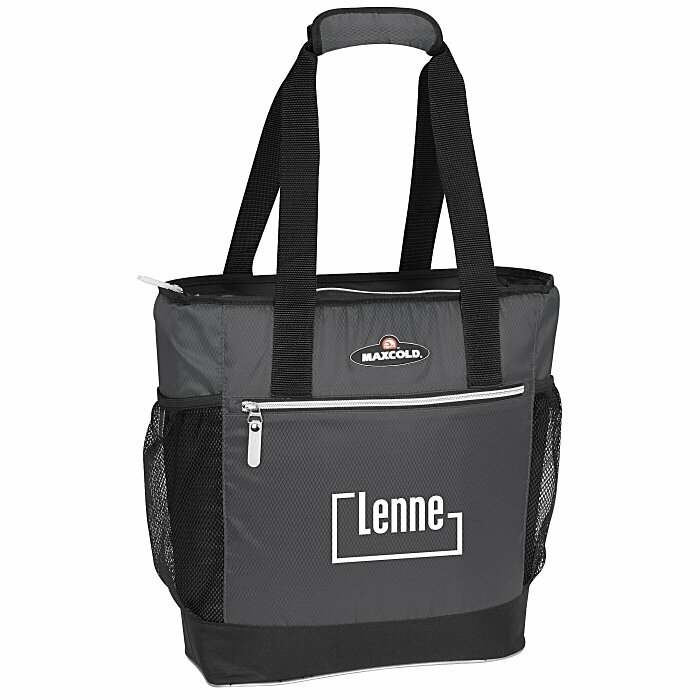 This design also makes the cooler tote an ideal grocery shopping bag, especially for refrigerated and frozen groceries. Front zippered pocket, rear slip pocket and two side mesh pockets provide additional storage areas for nonperishables. The liner is also leak-resistant, heat-sealed and antimicrobial for all the best qualities in a cooler. Dual wrapped tote straps allow you to leave hands free to carry even more! Size: 15" x 15-1/2" x 5-1/2".